Niko Kranjcar’s agent has suggested that Tottenham need to decide whether they want to keep the midfielder at the club, the Croatian endured a tough season at Spurs with limited first team opportunities last season for the player. Kranjcar had been linked with a move to Serie A side Florentina after expressing his frustration at being a bit part player at White Hart Lane and the club are currently monitoring his situation. Kranjcar’s agent Adrian Aliaj told firenzeviola.it: “At this moment I cannot comment on any market rumours, it is for Tottenham to decide whether the player leaves or not. “I read a lot of news about him in newspapers, but his future is in the hands of the English club. Gianluigi Buffon has confirmed that he will be staying at Juventus, media reports had suggested that the Italian would seek at move away from the Serie A club this summer, but the 33-year-old has squashed rumours to declare that he intends to stay at the club and help them win the Scudetto. Buffon has spent the last ten years at the Olympic Stadium with the Bianconeri, racking up over 350 appearances in the process. Speaking to Gazzetta dello Sport, the Italian said: “I remain and I will return to be the Buffon I once was. I feel a lot of love for Juve. In the past year with the club there have been some misunderstandings but I don’t want to blame anyone. With the new signing of Andrea Pirlo from AC Milan, Buffon is hoping that Juventus can challenge for silverware next season. The goalkeeper has spoken of his love for the club and the fans, the player is under contract until 2013 and wants to help improve the club after experiencing a difficult time at the Turin club where he made only 17 appearances while the club finished a disappointing seventh in Serie A.
Juve, who appointed their former midfielder Antonio Conte as their new coach earlier this month, will miss out on European football next season following a below par campaign. The players agent Martina told Radio Sportiva “Since 2006, Gigi has had offers from all over the world and from two of Italy’s biggest clubs. “He had an injury and did not play for a long time, which created baseless rumours. Nemanja Vidic has squashed rumours that he could quit United by announcing that he is more than happy at Old Trafford, Vidic helped the Red Devils record their 19th league title last season, while captaining the side to the UEFA Champions League final which they lost to Barcelona. The former Spartak Moscow player has told his Italian agent Silvano Martina that he is more than happy at Old Trafford, it was thought that the Serbian player was unsettled at United and would seek a move away from Old Trafford this summer. But the player’s agent Martina told Radio Sportiva: “Vidic is a player that everyone wants. “I talked to him about a hypothetical transfer and he said ‘I am the captain of Manchester United, I’ve won almost everything. “‘Why should I go to Italy right now that Italian football is going through such a turbulent moment?’. Alberto Aquilani agent says that there has been no approach from AC Milan for the midfielder, the Italian spent last season at Juventus after Liverpool sent the player out on loan. The Turin side have yet to confirm if they will sign the 26-year-old on a permanent deal. Milan who want the Scudetto last season will be looking to for a midfielder to replace Andrea Pirlo who left for Juventus at the end of the season, but there has been no indication that the San Siro giants will make a move for Aquilani. The Italian’s agent Franco Zavaglia, told Gazzetta dello Sport: “I can say that I am not aware of any interest from AC Milan. “They are just rumours and we have had no contact with Milan. 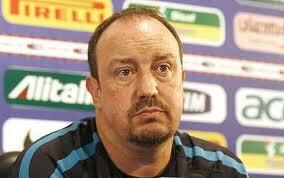 “Juve have asked us for a few days to reflect and in the meantime, we are looking at the options in Italy and abroad. “I don’t think the problem has to do with the buy-out clause but rather that they (Juventus) are looking for someone whose characteristics are more defensive. “We will see what happens. Sunderland have completed a loan deal to land Inter Milan midfielder Sulley Muntari, the Ghana ace has joined the Black Cats until the end of the season and joins fellow countrymen Asamoah Gyan and John Mensah at Sunderland. Muntari had been plying his trade in the Serie A with current European champions Inter Milan and could make his debut against Stoke next weekend. 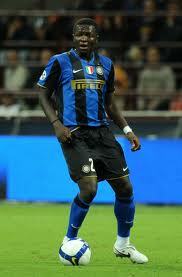 Steve Bruce spoke of his delight at landing Muntari with his first signing of the January transfer window. “Sulley is a fabulous acquisition for the club,” Sunderland’s manager told his club’s official website. “When the opportunity arises to bring in a player of his ability, even in the short term, you have to take it and I’m delighted we’ve been able to. “His adaptability is a great asset. He did extremely well at Portsmouth so he knows the Premier League well and you have to be some player to move to Inter Milan for the fee that he did. He’s a great addition. “If you had said to me six months ago that we’d be looking at Sulley Muntari who had just won the Champions League I would have said ‘not a chance’.